You might be feeling hesitant or dubious about the health benefits of medical marijuana. If you, like many Americans, were raised to regard marijuana as a dangerous drug with no benefits or positive qualities, it’s completely natural to resist the idea that Cannabis could actually be good for you. In fact, many of the patients I treat are initially skeptical about the medical merits of Cannabis. 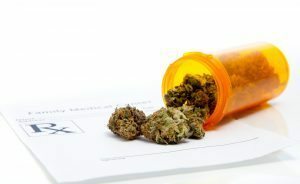 It is perfectly okay (and even encouraged) to want to see what objective, scientific, peer-reviewed medical studies actually say about medical marijuana before you decide to make the leap yourself. An informed patient is an empowered patient. That’s precisely why I’ve created this compilation of medical Cannabis study excerpts. I’ve included only recent studies conducted within the past 15 years, with dates ranging from 2001 to 2014. The data has been culled from an international body of peer-reviewed medical journals. I’ve included findings about a wide variety of medical conditions – namely cancer, HIV/AIDS, glaucoma, ALS, and MS – as well as effects such as pain and nausea. All studies have been sourced with links in the interest of transparency. It is my hope that these compiled medical findings will help set your mind at ease. If you have any questions about whether you qualify for medical marijuana, I invite you to call me at (617) 477-8886 to set up a private consultation with Inhale MD. Does Marijuana Kill Cancer and Inhibit Tumor Growth? There’s a common myth about marijuana that “Cannabis cures cancer.” Unfortunately, this is a wild exaggeration. Marijuana does not “cure cancer,” nor is Cannabis a substitute for traditional chemotherapy treatment, which remains the most reliable and effective method of treating cancerous growths. Should you ever come across a website or video claiming that a topical cream can “dissolve” or “reverse” aggressive skin cancers like melanoma, steer clear: these claims are patently untrue and exist only to scam people into wasting their money on useless products. That being said, many studies have demonstrated that marijuana does appear to have cancer-fighting properties with regard to certain forms of cancer. Cannabis can also help cancer patients manage the pain and nausea caused by chemotherapy. It’s a common joke that marijuana induces the “munchies.” While “munchies” is hardly a medical term, the connection between Cannabis and appetite stimulation has been thoroughly documented by researchers. This effect can benefit two distinct groups of patients: (1) patients who suffer from eating disorders, such as anorexia nervosa, and (2) patients who experience chronic nausea and/or gastrointestinal irritation caused by HIV/AIDS, cancer and chemotherapy treatments, or conditions affecting the digestive system such as Crohn’s Disease and ulcerative colitis. The term glaucoma describes a group of diseases which collectively degrade the optic nerve, eventually resulting in partial or total vision loss. Glaucoma can affect anyone, but older adults are at the greatest risk. Multiple Sclerosis (MS) affects an estimated 400,000 people across the United States. MS causes damage to myelin, the substance which insulates nerve cells, leading to muscle tremors and muscle spasms, difficulty speaking, and paralysis. The popularity of physicist Stephen Hawking has helped to increase public awareness about ALS, also known as Amyotrophic Lateral Sclerosis or Lou Gehrig’s Disease. ALS affects about 20,000 Americans each year, causing impaired mobility which eventually progresses into paralysis. ALS is a fatal condition, though the ALS Association reports the disease stops progressing or even reverses in a small number of people. If you’re living with any of the medical conditions described in this article, or other conditions including Parkinson’s Disease, hepatitis C, chronic insomnia, or rheumatoid arthritis, medical Cannabis may be able to help provide additional relief in conjunction with traditional treatment. To talk about whether medical marijuana could be right for your condition, call Dr. Tishler at (617) 477-8886.